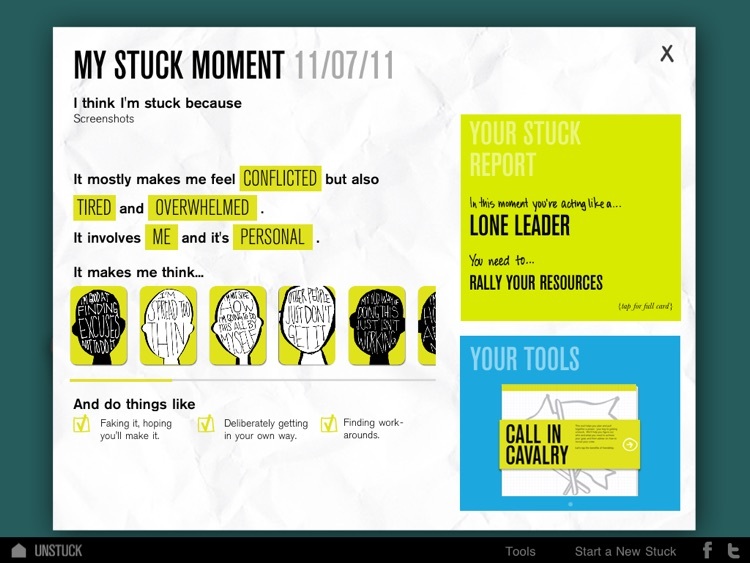 Unstuck is an in-the-moment digital coach that's ready any time you're feeling stuck. 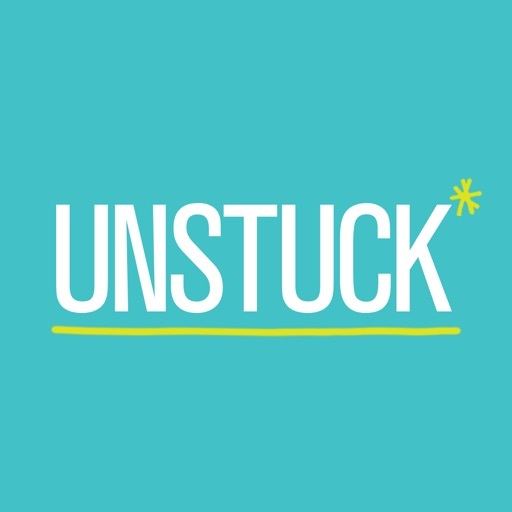 Unstuck offers up personalized digital tools and content to help you get from stuck to unstuck, no matter what the challenge may be. 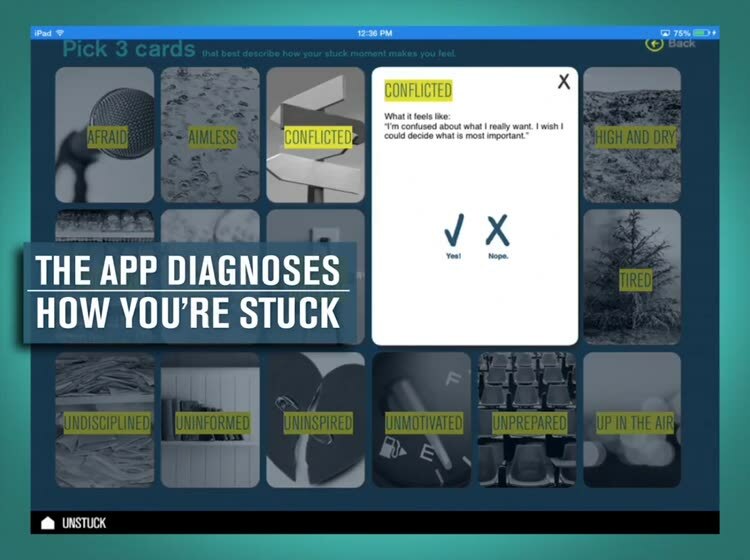 First, the app helps you diagnose what’s really going on—with a challenge at work, a relationship issue, a goal that’s just out of reach. 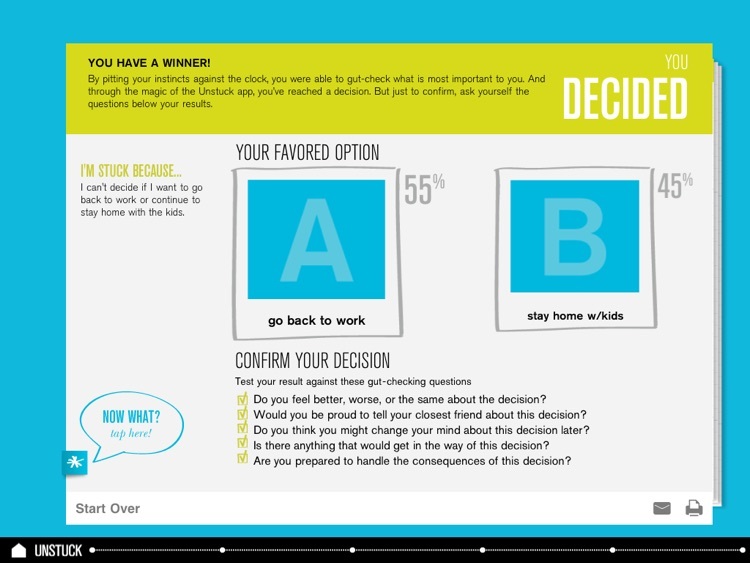 It teases out what you’re feeling, what you’re thinking, and what you’re actually doing. 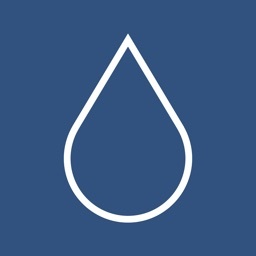 Based on the diagnostic, the app helps you identify what type of stuck moment you’re having—maybe you’re acting like a Waffler, overthinking your choices, or you’re being a Deflated Doer, in need of inspiration. 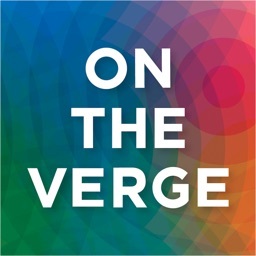 It helps you understand that moment and then suggests how to move forward. 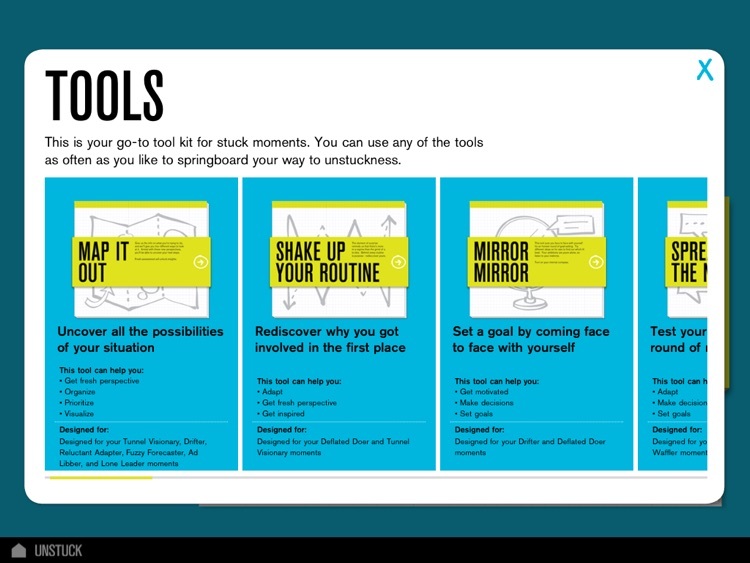 For each stuck moment, you get tried-and-true tips and the perfect tool to pry yourself loose and get unstuck. 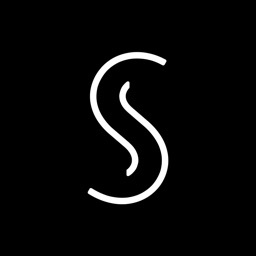 You can keep coming back to the app again and again, incorporating it into your daily life so that your stuck moments can be handled as they come up. 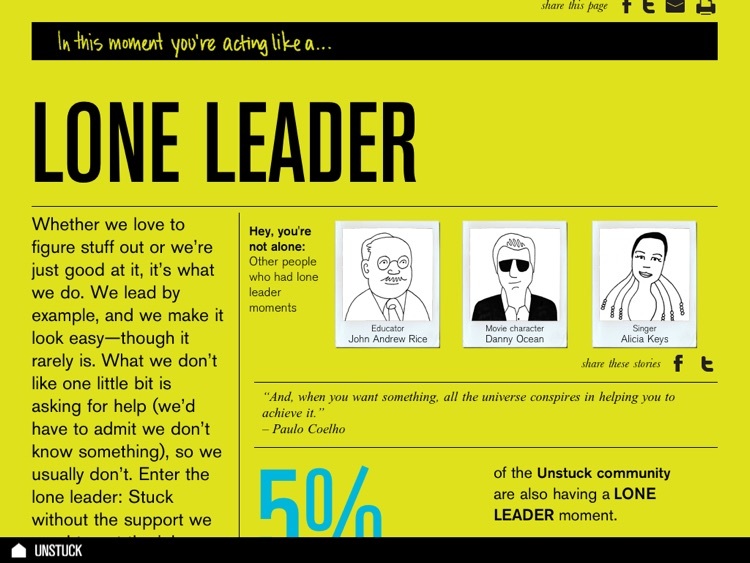 Unstuck allows users to save up to 10 stuck moments at a time by creating a personalized account when you first launch Unstuck. Your personal stuck moment information is not shared with anyone. A login is necessary so that you can logout on shared iPads to ensure your personal stuck moments are only available to you. 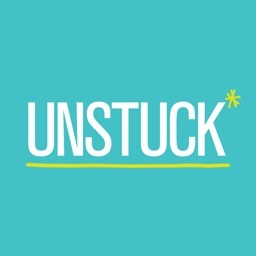 The Unstuck app operates best on iOS9 and higher. 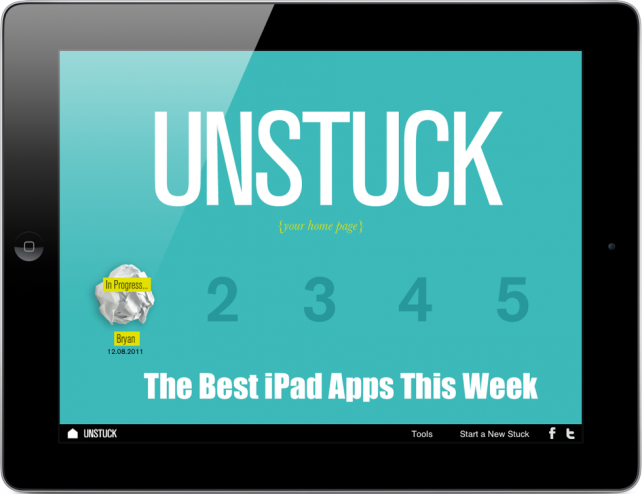 Here they are, the top new and updated iPad apps this week. 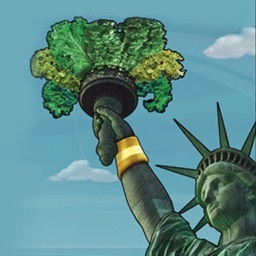 Did your favorites make our list? 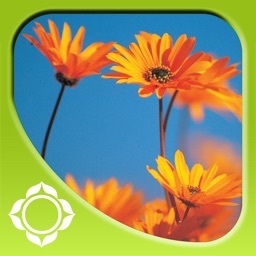 Ever feel unmotivated or held back because you are stuck in a rut? 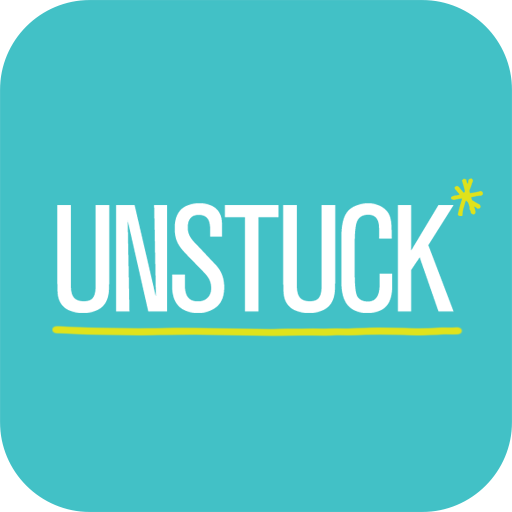 Unstuck by Unstuck LLC will help you work through your challenges, peel away the layers and get to the root of your stuck moment.